From a very early age, he was an obvious talent, with his golden left foot, his changes of pace, his speed and his dribbling skills. 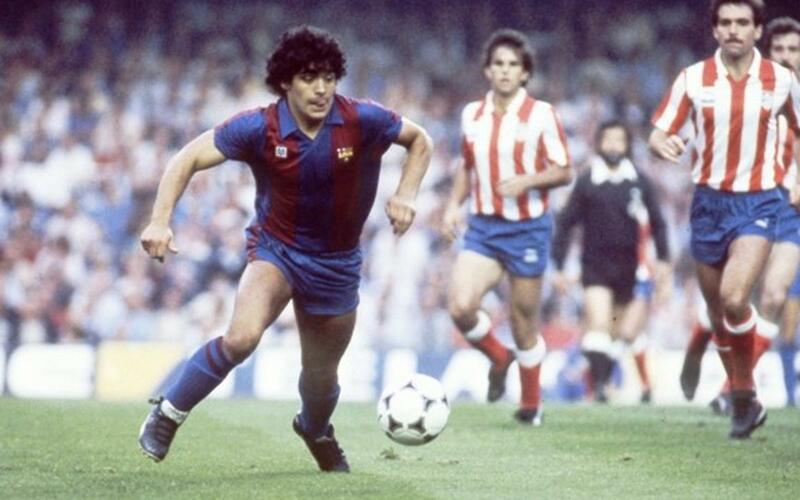 'Pelusa', as he was known, arrived at FC Barcelona in 1982 from Boca Juniors. Unfortunately, Catalonia never got to see the best of the player, first due to hepatitis and then due to a serious injury. These circumstances meant that although the player went on to achieve so many great things in his life, the Camp Nou only got a few passing glimpses of his true potential. But there were some moments to cherish, such as his chipped goal against Red Star in the 82/83 Cup Winners Cup or the one he scored at the Santiago Bernabéu in the League Cup the same season, which even had some of the Madrid fans applauding. His relationship with the Board deteriorated to the point of no return, and after Barça lost the Copa de Rey final to Athletic Bilbao in 1983/84, he moved on to Napoli in Italy.